A Guide To Headphones - Headfonia. Before we begin I’d like to start out by saying that Headfonia articles are mostly focused on headphone selection for music listening. So, if you are a recording engineer or a gaming enthusiast, we may not be able to give you much help there. The number one rule to understand when embarking on your headphone-search journey is to understand that there is no one headphone to rule them all. Like automobiles, headphones are made for different purposes. You have the supercars, roadsters, SUVs, 4x4s, sedans, to the compacts, and you chose what’s best for your day to day needs. There is no one car that can tackle snow and win races on the drag strip. The sooner you understand this fact, the more money you will save. The key is to get the right headphone for your music, not the most expensive headphone your budget allows. Dale: Some of the most important things to consider in selecting a headphone are the fit, any power requirements, portability, appearance if used in public, and whether the sound is oriented toward what you mostly listen to. 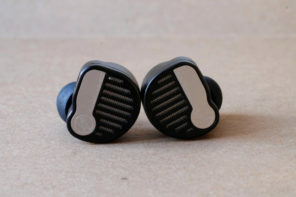 The fit isn’t always an easy thing to be sure of when you can’t try before buying, since some ear pads will not have a satisfactory fit to some ears. Power requirements aren’t a simple matter of looking at the impedance, since efficiency or sensitivity doesn’t always track directly with impedance. Another issue indirectly related to power requirements are whether the headphone has the option for ‘balanced’ use or some other connection that isn’t a 3.5 mm or 6.35 mm jack and plug. Portability can mean many things, such as appearance in public, having a secure fit so the headphone doesn’t shift off of your ears, amount of isolation from ambient noise (including active noise canceling), whether the headphone can be worn around the neck when not listening or it requires a carry case, and when extra amplification is required, whether a suitable amp can be found that’s OK to carry along with the portable music player. If you think about it, a typical Rock song and a typical Classical track are very different. The presentation of the music is different, the instruments involved, the energy of the music, even the way they are recorded are different! Therefore, you need to adjust your headphone choice to fit your particular music. After listening to lots and lots of headphones, we discovered that certain headphones have the right qualities for Rock, and another for Classical, and yet another for Electronica. We refer to this as the sound signature, or the character of the headphone. Don’t ask me why headphones have characters, just take our word for it. Again, back on the automobile analogy. If you’re driving in downtown Chicago after winter time, the road is full of potholes. It would be nice to be riding in a nice SUV, rather than typical sports car with a fully stiff suspension. It doesn’t matter if your sports car happen to cost three times the cost of the SUV, it’s just the wrong car for the road. Likewise headphones. A $1,000 headphone can sound very awful on the wrong music. Don’t believe me? Try listening to Linkin Park with the $1,800 Sennheiser HD800. You will wonder where that $1,800 went. Dale: The examples listed above are good general rules, but there also are so many exceptions and in-betweens that it also could be better to understand what is needed for your music, so you can narrow the search to the most appropriate headphones. For example, you may have heard that Classical music is a particular genre, but within that ‘genre’ are many very different types of music. Chamber music or pipe organ music may benefit from a headphone that’s highly detailed in the treble (a headphone that some users might say is bright), while harpsichord music and music that has a lot of strong trumpet sounds might be better served with a more rounded or softer treble. What I’m saying here is that it’s better to own three $100 headphones than one $300 headphone. Or three $300 headphones than one $900 headphone. Why? Because most people don’t limit their playlist to strictly one genre. And following the logic from Rule #2, the right headphone-music pairing is going to be better than one expensive headphone paired to the wrong music. This is why headphones are so fun. It’s easy to switch from one pair to the next. Imagine if you were listening to speakers, you would need three different rooms to set up your three different speaker sets. Dale: It’s really the same with any genre or sub-genre of music, that the sound from different artists and tracks can vary a lot, so having more than one headphone is a plus. When only one headphone is available at a particular time (portable use especially), one option is to use a headphone that can accommodate a wide range of genres, in which case there may be compromises to consider. Another option is to carry two headphones – one on the head or around the neck and another in a carry case. Some of the small headphones can make this easy to do. Open back usually results in more natural sound, but they leak sound in and out. This means you probably can’t use them in a library or a plane flight since the sound of your music will leak out and disturb the people around you. You also can’t use them on loud public places since noise from the outside will disturb your music. Therefore, even though open back would give you more natural reproduction, for these reasons their use is limited to mostly at home or in the office (if you have your own space that is). Closed back are not always inferior to open back headphones. They are usually easier to drive, making them a good choice for portable set ups. They also tend to have punchier bass which is good with most mainstream modern music. One more thing, open back headphones typically require more amplification power than closed back. For example, some open back headphones like Grados and Alessandros still fall into the semi-portable category, but they would benefit from an amplifier because of their open back design. So the bottom line is closed-back headphones are usually more practical and are easier to live with. Open-back headphones on the other hand have the potential to sound extremely good. Dale: The examples listed here are good general rules, but one thing to keep in mind is in the mid-to-lower price tiers, open-back headphones aren’t nearly as common as the closed types. The smaller list of choices, and the more limited reviews of those items, could make getting a perfect fit more difficult. Sound stage and openness are often given as the advantage of the open-back types, but it’s just a general rule and some closed-back headphones excel at those properties. An important thing to consider is the music itself, since sound stage and perspective varies widely in different recordings. The rule that I use is that the bigger the size of the headphone, the bigger the need for amplification. Of course factors like driver sensitivity and impedance will matter, but the general rule of thumb is, use a dedicated headphone amplifier for a full size headphone. Even a portable amplifier can be enough, depending on the type of the headphones. Also remember that open back headphones usually require more amplification power. Dale: There are so many types of amplifiers (and DAC’s with amplifiers) that there is no shortcut for studying all of the options, unless you settle for the most generic approach. Important things to consider are power – if you don’t have enough power for your headphone and the dynamics in the music, clipping will result. Sometimes the clipping is “soft” and not readily noticed, but eventually you would discover that much of the detail goes missing or gets veiled with limited dynamics. Another consideration is whether to use a DAC, which may be a separate DAC or built into the same enclosure as the amp. Most DACs will improve the sound over the DACs that are built into computers, but when a DAC is available to replace the DAC built into most cellphones and low to mid-priced music players, you can usually expect a much greater improvement. Garbage in = Garbage out (GIGO) is a popular phrase used to emphasize the importance of a good source. This can be the soundcard in your laptop, the quality of your portable audio player, or the CD player you’re using for music listening. Those fall into the “Source” category. The better your source is, the better the sound will be at the headphone end. This is why we are seeing more and more audiophile digital audio players (audiophile DAPs). They are expensive but they sound good. That should be all for now. Have fun with the search, and enjoy the journey! Very nice read. I especially agree with the part that more (cheaper) headphones are better than one (more expensive). Not just for different genres but often I get too used to a specific sound signature that I’m in need of a refresh and other headphones deliver just that. Regarding the Garbage in = Garbage out thing, is an iPhone no longer a garbage source if you use a quality amp with it? I’ll also be using a quality LOD too. Can’t afford a portable DAC right now but an amp is already on the way. The I’ve always thought that while the Ipod/Iphone doesn’t belong to the quality source category, they make for a good portable player and I still enjoy using my Ipod once in a while. I agree. I was just wondering if adding a decent amp (say, the TTVJ Slim) would push the iPhone into the “quality source category” where I don’t need to worry about the Garbage in/Garbage out aspect of portable audio. Thanks! No that won’t do since ultimately the source section is still the same: the Ipod’s digital to analog conversion circuit. Some choices would be to add in devices like the CLAS or the Fostex HP-P1. Now those will improve the source quality because you’re no longer using the Ipod’s internal digital-to-analog. Nice topics, and by the way in the sixth rule, you mention the players, most of us doesn’t even care about this, so, which player do you use Mike? Oh, there is the energy too, a very very, uncommon topic that people often don’t think about, but some times a good eletrical source change’s the sound when you are using a tube amp for example. Are you referring to portable players (DAPs)? Well I still use the Ipod Classic although I am very sensitive to the annoying way that it renders midrange but sometimes it’s just the most practical solution since most of my music fit in there. Before this I was also a big fan of the Hifiman HM-801 and HM-602 players. But currently I either go with an Altmann Tera or an Ipod Classic + CLAS + C421 amp. As for the power source, word is that if your amp’s power supply are good, it would be less dependent on the quality of the AC supply. I was referring to player like Foobar, if you use one like this of course. Ah, I see. Foobar is good. I am mostly a Mac user so I don’t know that much about Windows players. Mike – Amazing website! Chock-full of great info. Yet after reviewing it I still have a question . . .
Music keeps me energized all day (and into the night) at work — 70% electronica/dance/DNB, 20% rock, 5% hip hip and 5% other/classical — but I’m tired of low-quality sound and I’m ready to put my money where my ears are. I want to buy a USB DAC + Headphone amp, buy headphones (or, per your recommendation, to buy 2 pair) to complement the amp and my choice of music, and get great desktop sound for around $350. Can you recommend some kit *combination* that will give me great sound from my laptop? The FiiO E17 “Alpin” + AIAIAI TMA-1 or Pro700 Mk2 seem like a mix you’d recommend, but I’m concerned those cans will be uncomfortable for day-long use. Also I don’t know if that DAC/amp is the best for my style of music/headphones. Third, some of my techno tracks have stunning vocals, and I don’t want to miss out on those high notes while enjoying the bass. Other than sound quality and comfort, I’d like to have reasonably low sound leakage. If that’s not possible I can work with my office door closed, but it would be good to rock out privately with office door open. Once you’ve got that all order, to put a cherry on top it would be ideal for the amp to play nice with my laptops (PC at work, Mac at home) *and* my *iPhone* 4S. I haven’t found a headunit that works with PCs and iDevices. If one doesn’t exist it would be a big plus for the amp to include inputs so I can get digital sound out of my iPhone (with the Pure i20 or its ilk) and into my headphones. Looks like your biggest concern will be on comfort. Should go with the TMA-1 as it is very comfortable, more than the Pro700 Mk2. Vocals on techno tracks are done differently on the mixing compared to regular pop/rock/jazz vocals, and the TMA-1 does techno vocals very nicely. Okay sound leakage, the TMA-1 will leak more than the Pro700 Mk2. Basically the Pro has a stronger clamping force which means less long term comfort but also less leakage, and the opposite for the TMA-1. The Alpen should be a great DAC/amp to use with either headphones, especially with the Bass/Treble controls. Been reading you’re blog ever since I wanted to buy headphones, it’s great! However, I am still kind of new too it and I bought myself a pair of Sennheiser HD25-II and an Fiio E7 which are great cause i’m in college and it’s a good all around on-the-go pair. But now, I started to look at an open pair of at home use. Now knowing my limited budget, I started to look at something in ~$100ish region(willing to buy used). I listened to a friends Audio Techina A900 & M50(Closed, I know) but enjoyed that I could hear a separation between instruments and sounds – more so than my HD25s. I assume I would get that type of sound with most of open cans but don’t know what to consider. I’ve looked into AD-700, HD5x8 but not sure what else, what to do. Perhaps try something like the Alessandro MS1. Instrument separation is pretty good. Not the best, but for $100 it’s good and I don’t want you losing out on the musicality either. Anyway, I’m looking for comfortable headphones for casual listening from my mobile phone, and so far I’m uncomfortable with portables. I have tried many portables in multiple stores, they sweat my ears after few minutes, and their small size never cover my ears properly. Recently I have experienced one of Clarion headphone (dunno which series, its price around Rp 99.000), while its big ear cushion cover my ears properly, I felt too much pressure on the area below my ears, probably due to its weight..
Can you recommend me a comfortable full-size headphones on around $100 budget? My genre spans from movie soundtracks to j-rock to instruments, so I guess “all rounder” is a necessarry requirement.. Sorry for the very late reply. Just saw your comment! Ummmm loks like you are quite particular about the fit. Try auditioning some headphones at the local store? Jaben, AnalogHead, Kantong Kresek, DBE. Ok, it’s been a month and a lot of new experience. I’ve auditoned ATH M-50 (clamp’s too tight; they sweat my ears just from few minutes of exposure) and Senn HD 600 (the velour pad is amazingly comfortable & size is ok). So, long story short, now I can refine my search to: circumaural&non-pleather/foam pads, which brought me to Senn HD 439 (cloth) & 518 (velour). Just driven from a phone? I would go with the HD439. i’m searching for a good headphone with detail Sound.. i have two option: the ATH M50 and the Beyerdynamic Custom One Pro. i often listen to metal, rock, alternative, but also Jazz.. what do you recommend? someone here try the lcd 2 closed back? any impression about it ? I’m a former Mixer and DJ and I’d highly recommend the Beyer T1 for mixing. It is not absolutely flat, but it is an all around proper Audio Technicians Headphone. For flat response, I might eyeball the HD800 but the low end might not be the best if you are often mixing tracks with solid low ends. Flat might not always be the best option ( my opinion ). If you need to mix heavy bass tracks, it is better to have a headphone that responds better to low end EQ and is generally accepted as a more well rounded headphone. In that regard, I’d pick the T1. Its a great all arounder and can respond nicely to EQ toggling if you need more of something, or less of something. The HD800 doesn’t really respond well to low end Equalization. Although, it is noticeably more Flat and clear sounding IMO. Have you had a chance to listen to the newly released Aedle VK-1 headphones? Although I think their design is beautiful I am wondering if their sound quality is worth the $350 they are going for. Sorry I haven’t had the chance. Yes they look nice indeed. wait, does that mean if i have onboard sound for my comp and i hook up an amp through usb, it doesn’t matter how good my amp is if i use the onboard sound? You can’t hook to an amp with usb. The DAC or your onboard sound card or the USB DAC is what feeding the signal to the amplifier. The amplifier feeding signal to the headphones. If the DAC feeds low quality signal, then will you hear that? Of course, as the amplifier would AMPLIFY low quality signal. Will that nullify the amplifier quality? Not really. I hope the logic makes sense to you. Hi Mike! Help me with this endless doubt:, I recently traded my grado SR80 for a beyer DT770 PRO LE … had everything to go right but ….. I just don´t t know, I´ve been missing that X factor in the sound….. But who ever heard grado know it’s hard to get used to another signature right? I think it’s fair to compare the Grados and HD598, but the M50 is very different and seems not to fit in that comparison. The DT770 is a better comparison to the M50, although the 770 is a better more expensive item. A long time ago I had a Grado 325 and a Sennheiser HD565 – very similar, very enjoyable. Today for that type of sound I might choose the Soundmagic HP100. Then, which one will suit my taste best? What aspects HD598 and Grado 225 share in common and what are the main diferences between them? And why did you put M50 aside? It´s hard to put a real blockbuster aside, isn´t it? Please give me the elements to make my decision right. Grado and Sennheiser == lighter and brighter, and M50 == darker and heavier. hum…tell me more please….would you say that hd598 is more complete? I mean, it does everything that sr225 does, but better? It does better, yes – an excellent headphone with good comfort. Maybe the best value for the price. But it does not have Grado sound. Is that bad? I don’t think so, but you will have to investigate Grado yourself – no way to explain. The only Grado I had recently was the PS500, and my review is featured on Grado’s PS500 product web page. Interestingly, yesterday I was comparing my beyer 770 with my AT ath30 and then I realised how important it is also the soundstage, the good separation of instruments … finally I have decided I want to take this into account as well, and not only the issue of bass, midrange and treble … Since, in my opinion lack of bass we can try to fix it, but lack of soundstage is impossible, right? HP100 is the only item on that list that I’ve heard. If I were buying any of those, I would be happy with the 598 and HP100. The other 3 I’ve read about for a year or more, and I didn’t get the urge to order them. The Superlux might be a good value for the cost. hum..I see your point…The big concern to me is that, since I don´t live in USA, everytime I order a pair of cans if I don´t like it I sell it….That´s the reason I will order starting with the most popular brands… it will be easier for me to pass a senn than a superlux, for instance. You know what I mean? Since you have mentioned 598 and HP100, can you please tell me who wins in terms of soundstage, spaciousness, and good separation? I’ve had only a few minutes one day with a 598, so I can’t say exactly. But since the HP100 is closed and the 598 is open, I would get the 598, as long as open back is OK for you. I don’t think you can go wrong with the 598 in any case – it’s a very good headphone. Watch carefully for any cracks to develop though, since there were many reports of that. Just a word about spaciousness: it´s almost obvious to assume that open cans have more soundstage than closed cans…but at the time I compared two closed cans, my dt 700 vs. my ath m30, I felt almost claustrofobic hearing the ath….beyer gave to the ath m30 a good drubbing in terms of soundstage…and they are both close cans…You see? I see, yes, but that should serve as an important lesson – the soundstage is not real in the same sense as actual tones, bass, treble, whatever. Soundstage is a perception that’s based on many factors, and here’s a challenge for you: You should be able to find some music tracks that have better soundstage on one headphone, and other tracks that will be better on the other headphone. Most of the time it will be just one way, but when a closed headphone beats an open headphone, I expect the open headphone will still show an advantage on some tracks. Your hearing perception could be tricked by simple things like a recess or emphasis in certain frequency ranges, or even phase shift when more than one driver is in the cup. Thank you Dale! God knows how much I could learn from you! I’m practically crawling in this world…As soon as I get hd598 in my hands, I will let you know about the impressions I had over the sound, ok? Thank you, but please describe your impressions for everyone else too. Maybe there is a product review here where you can make comments for the HD598, so other people looking for that and similar can read your experiences. Good luck. I’m looking for a pair of studio headphones but I can’t decide. I want to produce dance music on these headphones since I don’t have $$ for monitors. The three headphones that I read most positive reviews about are the Shure srh 840, GMP 8.35d and the KRK KNS-8400. I read the GMP 8.35d are the best but I can’t test them since no shop sells them in my area. Which headphones would you reccomend to me? Thanks in advance for your reply!! I have heard only the 8.35D, which are slightly dark (tilted toward the low end a little bit). But the 8.35D is very smooth and linear overall, excellent for many genres if not all. With the SRH840 you should expect a big hump in the upper bass – not ideal for monitoring. The KRK 8400 seems like the most accurate of all which is ideal for monitoring, but that’s based on a bunch of reviews, and not all of them agree 100 percent. Thanks for the info dale! Actually I’ve just seen your review of the Soundmagic HP100 on YouTube and I really liked what you said about it. I read some more review and it seems like a really accurate flat headphone. Unfortunately it’s not a common headphone, but I’ll try to find a shop in the Netherlands where I can test them, maybe a/b them against the KRK 8400. I read your review and now I really want to try them out! Would you recommend them for studio use? My rule of thumb is not on impedance but on the size of the headphone. I’d say that 99% of all circumaural headphones need an amp. Semi portables, ATH M-50 size will benefit from an amp. Only the smallest supra aural headphones like the Sennheiser PX100 size don’t need an amp. Try look out for the ATH M-50. It’s a very popular headphone for about $130. Thank you for your fast reply and i will keep the ath m-50s in my mind, but do you have any other suggestions too, like more cheaper headphones? I tend to regard the M50 as the minimum for hi-fi listening with no apologies for limitations. But if you have to go cheaper than the usual $125 USD for the M50, the B&O Form2 with a simple bass boost gives a real hi-fi sound, and it should be available for about $100. The Beyer DTX-501P (similar to soundmagic P30) is good for $100, but needs a slight treble boost. The LSTN Fillmore with wood cups is somewhat colored, but still a good listen and good for $100. Below $100 are the Sennheiser PX series – not hi-fi by any means. There are several good IEMs below $100, and Apple Earpods with a Dirac or Accudio Pro player are very hi-fi, and cheap. The Superlux HD668B is a good one, if you can find one around. Also check if you can get the Senn HD380Pro for a cheaper price where you live. Hi. I have more or less decided that the Philips Fidelio L1s are the ones for me. I plan to use them on my commute paired with an iPhone or the iPad as the source. I listen to a mix of pop, rock, blues and jazz so I’m not after boosting bass but I might want to fiddle with the dial on the treble and mids. Which brings me to my question. You state in your review that the L2s pair well with the Fiio e17 which lets you independently adjust treble and bass. Could the same effect be achieved lower down the $$ curve via a combination of say a Fiio E6 (for signal amplification) and a Dirac or Accudio app for equalisation? Thanks Marc. Will keep your comment in mind. Dirac is mainly for resonance (narrow band) taming and not suitable for normal EQ. Accudio is good. But since the L1 already has a strong bass emphasis, boosting mids or treble just makes the imbalance worse – i.e. the freq. response becomes more ragged and the sound more harsh. To get a smoother sound and better mids and treble, reduce the bass instead. Thanks Dale, much appreciated. Will stick with accudio. They have downloadable curves for the L1 which should give me something to work off. Do you have an opinion on the Fiios – E6 or lower? Or am I better off running the ‘phones off the inbuilt amp in the iPhone? The iPhone will drive the headphone fine and make a very nice sound, but the amp will make a big improvement in harmonic extension and soundstage. Use the amp whenever possible. Both Headfonia and I concur that the E07k is a great amp, and probably the best thing you can get for up to twice the price. I’m familiar only with the E07k, the E17, and the E12. I think the E07k beats the E17 (and both are also USB DACs), while the E12 is just an amp, and has a darker sound but with more power for inefficient headphones. The Philips is not inefficient. Nah please don’t pair it with the E6. I would say that E17/E7K is the minimum for the L2. They are semi-open you know? I already own the TMA1 from AIAIAI, the Bose AE2 and the Phonak PFE 012. At the moment I’m looking for a new Headphone. The Philips Fidelio L2 looks awesome (the sound also). The AKG K551 took also my intention (50mm Driver). The compactness of the Beyerdynamic and the Tesla technology took also my interest. I listen to almost all genres except classical. I’m getting the Beyer T51p tomorrow, and I previously had the DT1350. Maybe one of those would be good. Could you keep me current about the T51p? worth it the exta money? I will post some comments. If I forget let me know here. My main reason for ordering was the old pads on the 1350 wouldn’t make a good bass seal in colder weather, and Beyer has upgraded the pads on both the 1350 and the T51p, so I’m hoping for a better seal this time. I don’t know of any headphone that size that ‘s as accurate and detailed as those little Tesla models, and the carrycase is icing on the cake. Just a few hours of burn-in today – I don’t expect much change with Tesla-quality drivers etc. The treble is recessed almost as much as the Philips M1 I had, kind-of a worst-case scenario. So I took out my most minimal non-peaky non-bright non-sibilant headphone – the B&O H6, and even though it doesn’t sound the same as the T51p because of the H6’s “light” midrange, I wanted to get a sense of how much the T51p was recessed below a very minimal treble. My Foobar2000 settings were +2 at 2.5, +4 at 3.5, +2 at 5, +4 at 7, +6 at 10, 14, and 20 khz. Normally I wouldn’t do the dip at 5 khz, but the T51p has a nasty 10 db peak around 5 khz, which makes it difficult for portable use without a customizable equalizer. Without a treble boost it sounds very boomy as well as muffled. I can understand Beyer going to a darker sound with more bass – in fact I thought it was a move in the right direction. But they need to cut that (resonant?) peak around 5 khz. I compared to several other headphones and none of those were anything like that. I haven’t a portable amp, so would you recommend me one of the Beyer? If I had the DT1350 I would choose the FiiO E12, or E07k with DAC. But using the T51p, I’d recommend a computer USB mini-DAC to maximize the clarity and tighten the bass. The T51p has move to the top of my favorites, but I still need a way to tame the 5 khz resonance peak with just the iPod or iPhone. The major difference is the DAC. What is the amp going to be plugged in to? My LG G2, maybe my PC or my iPod. The E07k is a great choice – acts as a DAC and amp on your computers, or amp only on the ipod. Worth the extra money for the E17? For the features yes. Sound, I like the 07K better. All genres except classical? Vmoda M100. These are next on my to get list. After seeing you and others recommend it so often. Interesting because I thought atleast initially, it received poor reviews in comparison to the M80. Seems to have a comeback or maybe it just, plainly and simply, SOUNDS GOOD. Ah, so true! “It’s better to own three $100 headphones than one $300 headphone. Or three $300 headphones than one $900 headphone.” And just think that I was stressing out from owning too many headphones..
For some odd reason I do get a lot more use out of a few $300 headphones than I ever got from the Senn HD800. Portability is a factor. Hi there. I’ve got Senn 558s modded & have a HRTiStreamer which until last week I’d only thought to link between ipod & speakers. Can you recommend a headphone amp to add to this? Given the quality of the iStreamer as a DAC, and the iPod as a source, you don’t need to overkill on the amp. The new Picollo or the Portaphile Micro would give you extra detail you could use, but that’s the top end for an iStreamer setup. You could do very well also with some of the small FiiO amps, up to the E17. I am looking for a headphones that does not leak sound, I own aiaiai track headphones now and I like them a lot, but I don´t like the sound leaking. I listen to all kind of music, but mostly indie. I don’t know those specific model’s sound. Maybe Dale does? Marantz is 2230 with the original blue lights. Warm look and warmer sound. I cannot give it up, but thanks. There is a great looking Marantz music player with VU meters at the Apple app store for ipod/iphone/ipad. Edit: Oops – MacIntosh – even better. That amp, if in good working condition, has 100 times the potential sound quality that those 2 headphones can play. You could improve the sound somewhat with a careful EQ, since the Marantz will have power reserve to spare. But I’d try to find a better headphone, and there are some bargains out there. If I were suggesting an ortho, I’d say get the lower price Mad Dog, which will give you great audiophile sound with the Marantz. Thanks for advice. Marantz is I superior condition and sounds so sweet through the vintage Klipsch KG4’s. But I am getting cans so my son can listen to them and not keep the neighbors up. Thanks again. Another person who has a lot of experience with current headphones and vintage receivers/integrated amps is Donunus – he posts here occasionally. Thanks. You know I remember back in the day looking at the Mcintosh amps and really like them but did not the cash for them. However I never regretted getting the Marantz. Seem everyone wants one . Hi, would you mind tell me how do i know what is the suitable music for a specific headphones？ or i which type of music is more similar with another? cause i have a headphone that i think it plays classical music well but not music with strong bass. If you have a bass problem you could find a filter of some kind that cuts the low bass. Some bass controls can do that. I haven’t found a music genre that totally lacks strong bass, although “acoustic” sometimes doesn’t have strong bass. Mainly, you should make sure your system is matched properly with amp and headphone, so the different frequencies are in balance. Then you will have better luck with different music. Thanks! is there any link or article that i could understand headphones more? as in what to look for when i am planning to buy one. There are many good articles here on Headfonia. You could click on Buyers’ Guides and read through those, then click on the Headphones topic header for each individual report. The “process” you go through is learning your own sound preferences, then matching that to the products that are available. It is a process, so you have to learn the major differences. Any shortcuts you take might be OK, but when you buy something that you discover you don’t like, make sure you can return that item. I had written a whole post thanking Headfonia for helping me research my home setup for my workstation, but I saw that it was deleted as ‘spam’? Well, then I won’t specify the gear I chose. But thanks anyway for your articles. Thanks. That was probably because I included a link to the Dutch headphone dealer who let me do a side-by-side comparison of a FiiO and JDS with my MacBook/Grado SR325iS combo. Hi All, Help needed. I have a slight gritty noise coming from only my left side. I can’t seem to determine if it’s my amp or headphones. I tried switching the RCA source cables from left to right and then left to right, but the noise is still in the left side. Plug the headphone into someone’s cellphone and you can determine if it’s the headphone. Thanks I tried that. At 600 ohms i can’t get it barely at listening level on the iPhone. It’s the Beyerdynamics DT990 600 ohm. I doubt that the DT990 has any particular susceptibility to damage. I think most of the full-size Beyers can be taken apart and fixed easily by the average handy-person, as long as you know the schema of its assembly. Beyer’s warranty service is great in the U.S. – my T51p came back in just a few days with a new cable. I’ll be sending it back for to exchange it for another new one, but it’s good to know that Beyers stands by their product. Beyerdynamic is pretty smart – they make a good product, but they also make it modular enough that you send it in – they can pop in a new part and get it back to you pretty quick. I wish every manufacturer did that. Probably the most fertile picking for best sound at a non-astronomical price are the headphones around $400 or less USD. B&W P7, B&O H6, Beyer DT770-32, Beyer COP, v-moda M100, AKG K7xx series, etc. But those are all full size, not very portable. I’ve heard some good things about the Phillips Fidelio L1, I believe headfonia actually did a review on them. Would they be a good pairing for the Fiio X1 and an amp? I used the L1 for awhile – excellent headphone, but to be sure of your satisfaction, be willing to use bass/treble controls as needed to balance the sound (if need be), since the L1 has its own special signature. If I remember correctly, a little bassier than pure neutral. I listen to a little bit of everything; rock, country, occasional rap, dubstep/trap/electronica (whatever you want to call it lol), jazz, blues. I’d like to use them at home, work, school, library…I was looking at the phillips fidelio L1. How is the HD700 for rock and metal? Alo audio national or Cypher Labs Piccolo? It all depends on the source, music and headphone. more info? What’s your choice of amplifier for the Alpha Dog for a warmer and bassier sound? I’m currently looking at the HiFiMan EF-6, Burson Soloist, Soloist SL, Woo Audio WA7 with the tube upgrades. Any thoughts on these with the Alpha Dog? My DAC would be the micro iDSD. I almost forgot to ask. How does the V200 compare to the V281 single-ended (essentially V220)? So I’ve gotten my Phillips Fidelio L1’s now I’m trying to decide on a player, both the DX50 and x1 have both been highly recommend. Thoughts? I’m also going to amp them, but I’m undecided on that as well. I already own a few headphones, namely the Audio-Technica ATH-Pro500MK2, ATH-T500, Sennheiser PX 100 II & PX 200 II, and the Philips Downtown and Uptown (Rule #3). I’m thinking of adding a new one and I can’t decide between the Beats Solo 2, Grado SR80e, and Sony MDR-10RC (budget constraints). I listen mostly Pop/Rock and Classical music and I have a cheap (Fiio E06) headphone amplifier. i have a sennheiser hd 439.. would it sound good with fiio X1 player? I have the E17k also – sounds really great, especially from USB on a computer. For $300, one of the basic-model Mad Dogs or ZMFs could be really good. They have a really low aggravation factor along with planar-style bass (good for those genres). For portable use I like the B&W P5, ATH ESW9a, and Thinksound ON1. I’ve been looking at the Audiotechnica M50. Am I on a good track ? Any good leads would be appreciated. The M50 is OK sonically, but has some odd colorations. And it’s bulky and “clunky”. I’d choose a good fit and comfort as very important, to go along with good sound. Based on your genres and description, the Beyer T51p or T51i seems like a good fit. Thank you! While those look awesome, I was honestly hoping for something closer to the 200 dollar range (I hope that’s not to unrealistic in terms of expectations) & the Beyer unfortunately barely fits my budget. Also, I have the feeling that they would break easily (is it just me?). Any other leads on headphones ? I was just about to recommend the T51P, Dale beat me to it. What exactly are you planning to do with it? 🙂 None of my headphones have ever broken. Seeing you were planning on going for the M50, what do you think of the Beyerdynamic Custom One Pro or the DT770/32? That’s a good question… haha. I’m the type that takes my headphones everywhere I go and so wear and tear is a genuine concern of mine. Especially when it comes to chords & I read that on the T51P that the headphone cord isn’t detachable, which is sort of a deal breaker for me. As far as the Beyerdynamic Custom One Pro, it looks really clunky for me (I’m a person that weighs 110 pounds & lives in Florida where the weather is sort of hellish). The DT770 is fine – not basshead, the COP is the same size and configuration as the 770, and both of those, large though they are, are “tighter” built so they feel less clunky than the M50. But the biggest problem for you is that the smaller headphones under $200 almost all have a steeply rolled-off treble, which is trouble for the more refined type of music. One possible exception is the Harman Soho. 1. I think I saw a youtube video in which you reviewed the the Aedle VK-1.. They looked looked perfect (again, this is from my very limited knowledge of headphones). While I realize that they are way over my budget but my question is…. are they worth the 500 USD? or in terms of price/quality are the T51P a better deal? 2. Realistically, how long do like those headphones last if a person takes good care of them? Sorry for bombarding you with questions. I really appreciate that your help! A good headphone should last 25 years. The first thing to replace is earpads usually, since wear affects the sound. Sometimes the cable will get a loose connection and need replaced. The drivers should be good forever, but in some rare cases a hair can work its way in and cause a buzz or rattle. If that happens it’s usually easy to remove an earpad and pull the hair etc. out. The Aedle VK-1 was also reviewed here, and we agree on the sound. I think it’s a little better than the T51p, but it’s slightly darker, so I’m not sure if it’s as good as the T51p for your preferred music. The VK-1 also has leather earpads if I remember correctly, which can be as hard to break in as genuine leather boots. One thing I suggest to prospective customers for a specific headphone, if I have that headphone on hand, is for them to suggest 2 or 3 music tracks by a particular artist and composer that I can sample on that headphone, not so much for me to suggest how it sounds, but mostly to check if that headphone has any real sonic issues with that music. For example, a headphone that’s ideal for classical and acoustic music might sound too harsh with metal and industrial goth. If you can’t, then… thanks anyways for the information! Question: what do you mean by the Aedle VK-1 sounding slightly darker? I will get to these today. Just imagine the sound you hear is a line stretching left to right, with bass at the left and treble to the right. Now the line is tilted toward the right so the bass is higher (stronger) and the treble lower (weaker). That’s an example of getting darker. It’s not a perfect analogy, since any complex combination of sounds or balance is possible, but in general when something sounds darker you’ll have less influence of the treble. Monkey Trick: The cymbals etc. have a lot of extended highs, but they’re a little soft. The bass guitar tone is quite good, but it doesn’t have a strong bass impact. Piano is mostly soft in the background, but when a riff starts around 1:26 the piano really sings. Blue Penguin: The guitar string tone, mostly on the right side, is really good. The deeper percussion sounds have a modest upper bass impact. Vocals are veiled due to the recording methods. Colomb: The drum, if that’s what it is, has a very good and tight percussive impact. The voice is perfect – sounds real – fits the mood. The “clop” sounds are great – very realistic tone. A lot of headphones fail on this type of sound due to irregular midrange. This is better than I thought it would be. Worst case is the T51p won’t have the excitement of the more “V”-shaped headphone sounds, but you’ll hear more of what’s actually in the recording. The more neutral headphones are most often a little bright (that’s what most users say), and can irritate on electronic and improvised music, but the T51p didn’t show any of that with these 3 tracks. If you end up with a T51, give it ample burn-in time. Hey guys, nice article! Just thinking what Amp should I buy, or should I buy a DAC/Amp? I’ll be using the Sony Z3 Compact for my player, and the Sony MDR 1A, and the Aedle VK-1 for the headphones. Thinking of the Ibasso D-Zero Mk II if DAC/Amp (When are you going to write a review on these xD) or the Fiio E11K or the E12A if amp. Thanks! Yeah, it’s a stupid question, just wanted to know 😀 guess I’ll be buying the D-Zero! Thanks again! Great article, thanks a lot for these information. I was ready to spend much more money than I should. I want to ask you something, what headphones should I look for rock/hard rock music? And of course if you have something in mind, that s under 100€ (for amateur use). It would help if, when you read of the different types, portable or not, on-ear or around-ear, open or closed, type of music you play, then you could describe that better so everyone knows what you need. I know that these are quite different stuff, but I need an opinion about their sound on my kind of music. Thanks a lot in advance! Congratulation!!! This is one of the best independent headphones guide that I have found. Great job!!! My journey ended with Grado RS1i and RS2i. I had the opportunity to bought them used. Yes!!! I listen Jazz Fusion and Classic. It paired with AT-HA22 tube amp with Phillips PCC88 tubes. Nobody tested if mystic coins are needed for the second recipe too? A decent DAP like a fiio F7 mkii is cheaper than a lot of high end cell phones.